Preliminary art designs for Riverfront Park by lead artist Meejin Yoon. A fourth and final sculpture denoting the boundaries of Spokane's Nettleton's Addition National Historic District was installed in mid-October. Steffan Wachholtz, a local artist and resident of the historic district, part of the West Central neighborhood, fabricated all four of the sculptures from reclaimed steel and aluminum. Each of the signposts are located at primary entrances to the historic district; previous sculptures were installed along Chestnut Street at its intersections with Broadway, Boone and Maxwell avenues. The newest and final piece was installed along the Centennial Trail at West Bridge Avenue, overlooking the Spokane River. 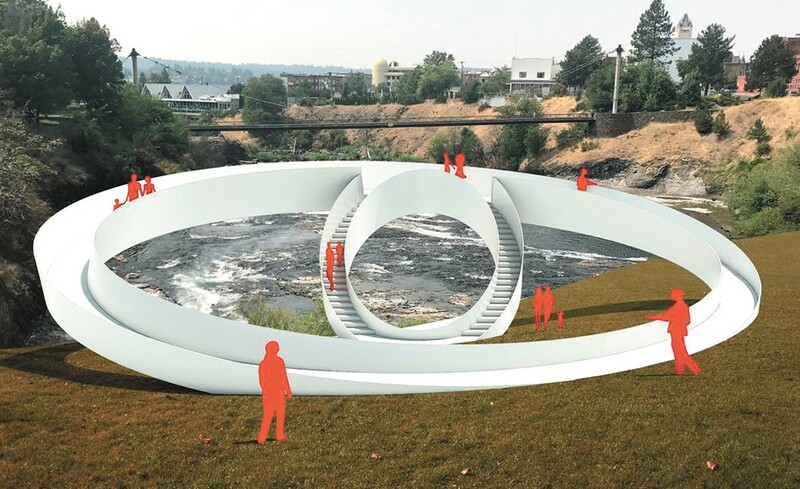 The city of Spokane hosted an open house last week to reveal options for public art installations as part of the ongoing Riverfront Park Redevelopment project. Award-winning lead artist Meejin Yoon shared several preliminary designs with attendees, for both a signature, large-scale art piece and overall art plan for the park. If you missed the open house, a video of the presentation can be found on the Riverfront Park website (spokaneriverfrontpark.com). In related news, a newly designed logo for the park was also unveiled this past Monday. In other public art news, Spokane's Public Facilities District is seeking proposals for an art installation at the INB Performing Arts Center. Applications are being sought from regional artists (with a preference for Spokane-area residents) for a large-scale artwork to be permanently installed in the center's lobby, with the potential for that art to extend into the outdoor breezeway between the INB and Spokane Convention Center. 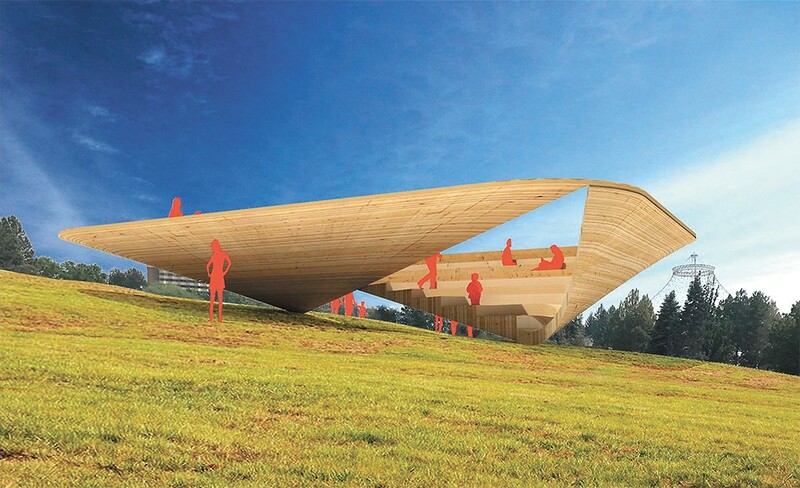 The public art project comes with a $150,000 budget. Interested artists can find more details about the project at spokanearts.org. The deadline for proposals is Wednesday, Nov. 15. This Saturday marks the annual Spokane Arts Awards, a culminating celebration of October's month-long spotlight on the regional arts community, and the presentation of several notable accolades. At the reception, Spokane Arts will announce winners of the arts awards' four categories, along with the incoming Spokane Poet Laureate and the recipient of the Spokane Arts Grant Award (SAGA) program's fourth and final round — a $10,000 cash prize. A more detailed version of this story appears in our Arts & Culture section online; you can find it right here.